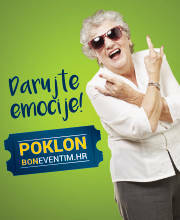 Buy tickets for Zabranjeno pušenje at Eventim. Do not miss important news about Zabranjeno pušenje concerts in the region: Register now for the ticket alert! There are no Fan Reports yet written for Zabranjeno pušenje. Be the first to write a review and share your experience with others. Zabranjeno Pušenje is a rock band from Sarajevo, founded as a classic “garage” band. Its current members are Sejo Sexon, Robert Boldižar Robi, Toni Lović, Branko Trajkov, Paul Kempf i Dejan Orešković. Their more serious work is linked with the cult meeting point of young musicians and artists called “Zaborav”, where the band held the first rehearsels and concerts but mostly for local fans. The concept was called “New Primitives” which gave their work elements of irony and satire. The members also started a successful TV show, with the cooperation of young actors, called “Top Lista Nadrealista”. It often criticised socialism and society. Their first album “Das ist Walter” came out in 1984. The plan was to make only 3000 copies, but it was sold in over 100.000 copies, making a national record. 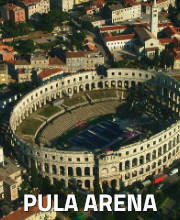 In 1984, they started their first big tour in Yugoslavia. 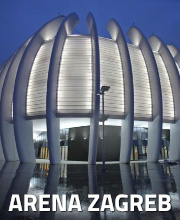 They visited the biggest concert halls and became the biggest Yugoslavian rock attraction. The rigid regime didn’t like the fact that the tour had such a big success. In the made-up affair, the members of the “New Primitiwes” project were accused for insulting Tito and socialism. They were forbidden on every TV and radio station and the clubs had to cancel their acts. The group continued to record their second album “Dok čekaš sabah sa šejtanom”. The news about the release were not published, but it gained great reviews and public sympathies. In 1987, the band released the album “Pozdrav iz zemlje Safari”, which brought them back to the top of YU rock. During the Homeland war, Zabranjeno Pušenje always tried to cheer up their fellow citizens. They also finished the neew show “TLN – ratno izdanje”. In 1997, they released their first album after the war – “Fildžan viška”. In the meantime, band got the support from the American, Norwegian and Canadian embassy to start music workshops for children and the youth. They last several weeks and the members have a chance to share their musical, business and life experiences. Zabranjeno Pušenje has held concerts across the Europe, USA, Canada and Australia. In Sarajevo, they had a show in front of 15.000 people and in Zagreb they celebrated their 30 years of existence in front of 5.000 fans. They have recorded 13 albums, two of them are live albums and three are compilations.